It is estimated that pet owners alone spend over $1 billion each year on flea control. 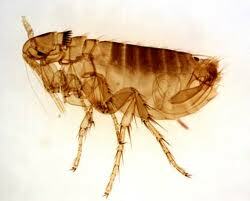 There are over 2,000 species of fleas in the world, but most of the common fleas found in and around home are cat fleas. Most dogs that are infested with fleas have cat fleas! Pets usually display signs of discomfort when they are infested, such as frequent scratching and biting of their legs, belly, and back. Bites on humans are usually found on the ankles and legs.